Whiskey Tango Foxtrot | Sometimes I think it's just me. Sometimes I think it's just me. 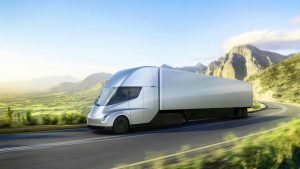 [Tesla] New Semi truck announced! [WTF] Nice. Gonna be quite long once you attach a trailer behind the battery pack though, no? [Airport Tannoy] … your baggage will be removed and may be destroyed. [WTF] That was a Mission Statement announcement on behalf of the Heathrow Baggage Handlers Union. [WTF] Wow! A three bedroom cottage that’s been built to look like a scale model of a castle! 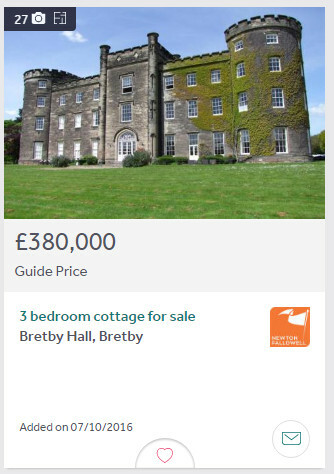 Or could it be… no, surely not… an estate agent taking misleading photos? [BBC News] UKIP MEP Steven Woolfe is apparently not punched by colleague. [WTF] … and the colleague’s name? Mike Hookem. Genuinely. I could make this stuff up, but why bother? [Soap Bottle] Kills 99.99% of bacteria! [WTF] Always knew I was special. According to that bottle, I’m one in ten thousand. [Officer] So precisely why were you doing 120mph on the wrong side of the road going over a blind summit? [WTF] Just obeying a road sign which said “Think Bike”. [Apple] All iPhone 6’s have a “Backside Illumination Sensor“. [WTF] Obviously an attempt by the faithful to perform a worldwide search for the next Dalai Jobs, who as everyone knows has sunshine coming out of his arse. [WTF] Awesome. What the world really needs more of right now, is mice. [Janus] … so let’s get this anti-European, xenophobic, racist nonsense out of the way once and for all; bring on the referendum and let the people decide. [WTF] Hey, Nicola, we’re leaving! [Janus] What? Well I’m not gonna. What do the proles know anyway? I’m leader around here and I say what happens! The opinions here are intended to be only mildly offensive to the population in general and representative of an imaginary world which just coincidentally resembles this one.